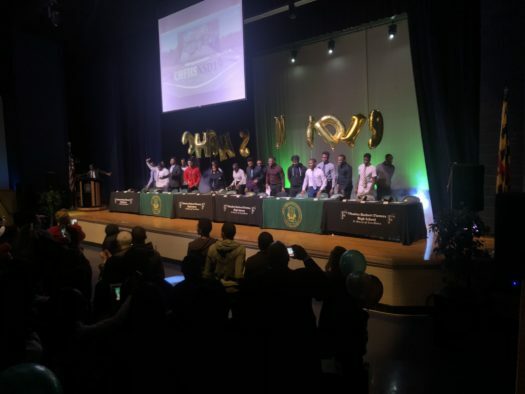 On February 6, 2019, National Signing Day for the senior athletes was held in the Helena Nobles-Jones Auditorium. The ceremony presented senior players who got accepted into college through scholarships because of their athletic abilities and academic performance. Several coaches spoke on behalf of the seniors on stage, such as coach Powell, the football coach. The seniors also gave their short speech regarding their acknowledgments and experiences for their school year, as well as announce which college they will be attending to continue playing their sport. Congratulations seniors on earning your scholarships!